Over the last decade the Apple products have changed the way we all listen to and store our digital music. The CD has all but become redundant! One company that is at the forefront of the digital revolution is Dension. A global leader of in-car iPod and iPhone entertainment systems, producing high quality products and solutions for your car. Dension entertainment solutions enable you to connect digital data sources like iPhone, iPod, USB, or any Bluetooth capable phone to your existing car audio system without making any changes external changes to your dashboard. 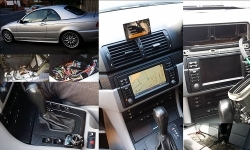 This Hungarian company has been developing iPod and iPhone car kits for over a two decades. Seen by many in this sector as the market leaders, Dension car kits will seamlessly integrate your digital music into your car audio system. 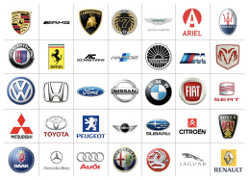 In fact The Hungarian company has a strong global presence and is sure to have an iPod or iPhone car kit for your vehicle no matter what make or model of vehicle you have. Car manufacturers are trying very hard to control the iPod and iPhone integration market for themselves seeing it as a healthy source of profit. However, by the time their factory option comes to market it’s already a couple of years old! The ice link one is a universal iPod car kit solution for your vehicle. You only need to have an FM radio and you are compatible. Unlike the awful wireless FM transmitters, the ice link one is a hard wired solution so the sound quality is as good as your existing radio reception! Dension has the ability to deliver easy iPod solutions for any vehicle and their universal iphone car kit is a great way to integrate digital music playback into your car. Here are some of the main features of the ice link FM. The Gateway 300 is a dedicated iPod and USB car kit for your car. This easy iPod kit works in the same manner as the Gateway 100 and comes complete with a vehicle specific cable and charger. The gateway 300 iPod car kit opens the world of USB playback. Great if you have passengers that like to carry their music on a flash drive. Here are the main features of the Gateway 300 car kit. Auxiliary input for other audio devices. Gateway 500 iPod car kit for BMW iDrive , Audi MMi MOST audio sytsems. 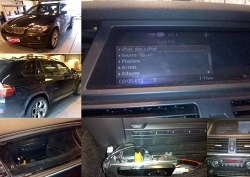 Supplied and installed the Gateway 500 iPod car kit for MOST systems and high end audio systems. If your vehicle has a premium audio system coupled with a factory multimedia screen, then it is likely your audio is controlled via the MOST ring. Vehicles such as BMW 5 series, 6 series, 7 series with iDrive, Audi A5, A7 and Audi A8 with MMI, Mercedes C-class, E-class and S-class and Porsche all use the MOST optical system. Audio and visual signals are carried via 2 optical signal carriers and then decoded through their dedicated module box. 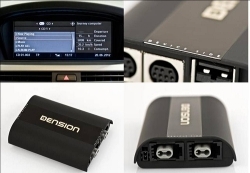 Dension offers solutions for iPod car kits for BMW, Audi, Mercedes and Porsche that allow seamless integration of your digital music playback via th­e MOST optical system. Gateway 500 iPod kits require professional installation. As certified Dension fitters we can safely install any of the Gateway 500 optical products into the car. Please be aware that certain vehicles ­will require your Dension product to be coded. Please call sales and support for more advice on this. The Gateway 500S BT is the perfect match for MOST fiber optic systems. The latest generation of this iPod car kit now incorporates Bluetooth hands free calling. Access to phone, phone book, music and other features via your menu control. ­Do you need a hands free kit in your car? Want to listen to hours of uninterrupted music on those long journeys? Have a smartphone and want to use it in the car? iPod or iPhone 5 integration? 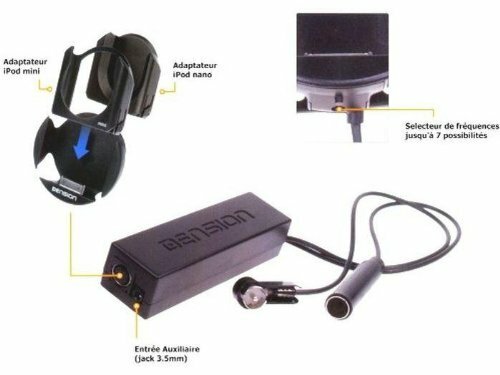 Then Dension has a car kit for your vehicle; they are a trusted household name for accessories such as bluetooth hands free kit, hands free iPhone car kit, iPod adapter for your car, iPod kit for your car. 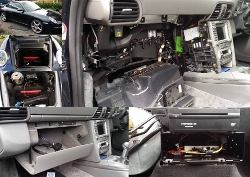 Are you looking for an iPod install, have a faulty CD changer and would prefer to play your digital library? Consider a Dension iPod or iphone car kit. Depending on your vehicle you can play your entire digital song via the Dension kit and have text information. Full control of your iPod is via your stereo and steering wheel control. 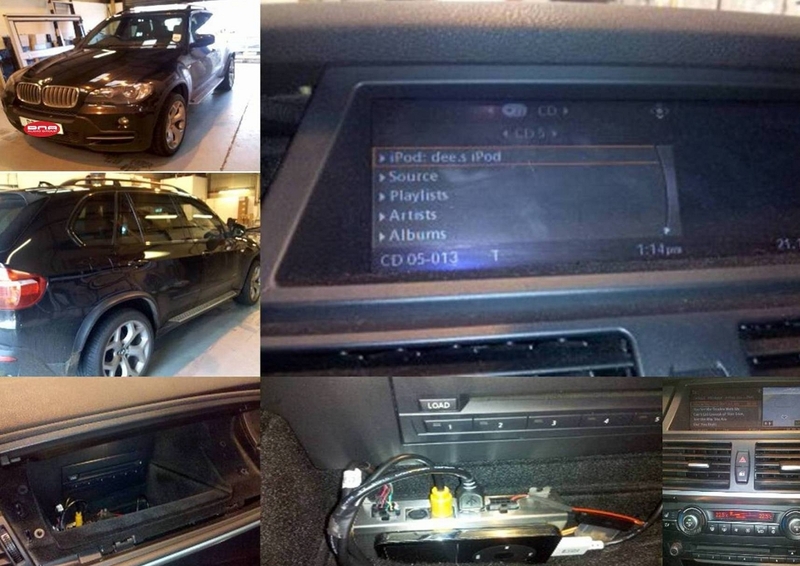 This iPod car kit install was completed in Nelson. 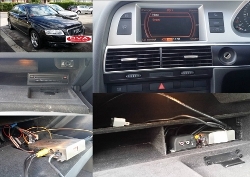 The Gateway 500 for this BMW vehicle was installed in Stoke. Our client wanted the best sound quality and a seamless fully integrated solution for digital music playback. The Porsche 911 runs on the M.O.S.T. fibre optic ring, so it’s a complex and technical install. 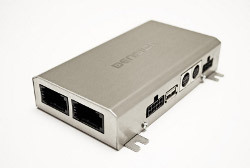 Dension’s Gateway 500 and 500s are the products suited for this type of vehicle. Dension offer a whole family of fibre optic driven products and are designed to fully make use of any on-board text display. It's an intense strip out of the dashboard to make way for the Gateway cables. After 4 hours of work, the results are there to be seen and heard! 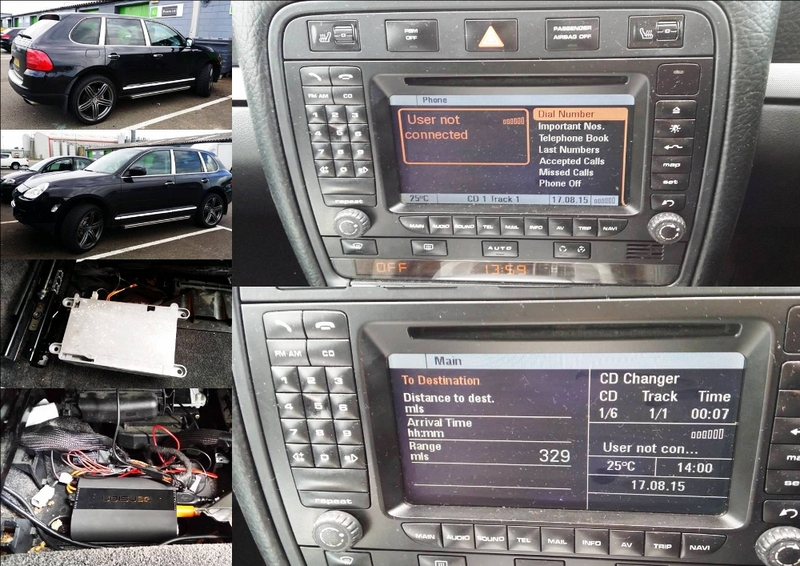 This Dension iPod kit for the Porsche 911 took place in South Manchester. Our client had a simple brief to install an AUX in his Aston Martin V8 Vantage. The install was anything but simple! The goods were supplied from world renowned NAV TV who supply the leading car audio companies with fibre optic MOST products. 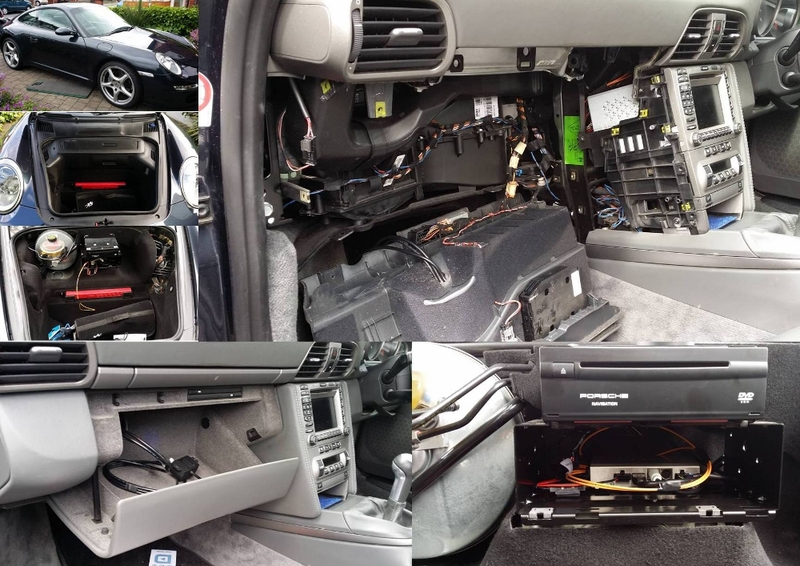 The key behind this install was to dismantle the handcrafted dashboard to get to the Fibre optic MOST input and plug our AUX box in-line. Once we had that done, it was a case of finding suitable power. The installation took just over 3 hours to do. The result is a tidy set of aux leads in the glove compartment and a manual switch installed in the cigarette compartment. This audio installation was completed in the Lancashire region. 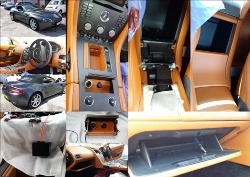 Our client called several car audio installation companies who are local to them. 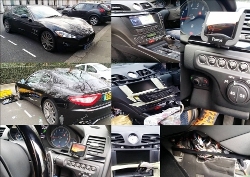 When asked the question; was it possible to install a music streaming iPod/Bluetooth car kit for their Maserati Grandturismo? they were told no, or near impossible! Fortunately for us, we received a call from this client, expressing an interest for a Bluetooth car kit with streaming capabilities. Our engineers assured our client that it was possible to have such a car kit and set about installing the Mki 9200 steaming music kit. The install was complex and requires several cables to integrate the Bose amplified system! As the pictures will help describe, once the dashboard has been dismantled, there is ample room for all the cables. This music streaming car kit install, for the Maserati Grandturismo was carried out in the London area. The Parrot Mini has evolved into a really sophisticated iPod/Bluetooth car kit. Here is an install we carried out on a BMW 3 series, with the 16:9 screen format. It’s a great addition to the already good sound system. The Parrot Mini allows for music streaming and hands free car communication, all in one screen. Notice the "i-Drive" styled remote control. This particular installation work was carried out up in the Scottish borders. This post was added on the 15 March 2015. This installation requires a very cool head and a lot of patience! Our instructions were to incorporate into the Porsche PCM system a Gateway 500s BT. The Dension Gateway will emulate an OEM Bluetooth and iPod integration with music streaming. The Gateway 500s BT, needs to be coded and the vehicle allowed to “sleep” for about 45mins. 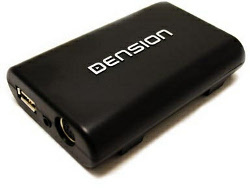 Once the MOST system sees the Dension module box, it codes it and integrates it into it’s software. This particular Dension installation service, was carried out in South Wales. The Gateway 500 is a fibre optic module box, designed to seamlessly integrate into the Audi MMI software. If you have an existing CD changer in your vehicle and you have the MOST ring, then you can have a gateway iPod kit installed. The results are stunning, in terms of sound quality! Your iPod/iPhone music menus can now be controlled direct via your OEM dial and steering wheel controls. Our installation Service was carried our around the M25 boundary.